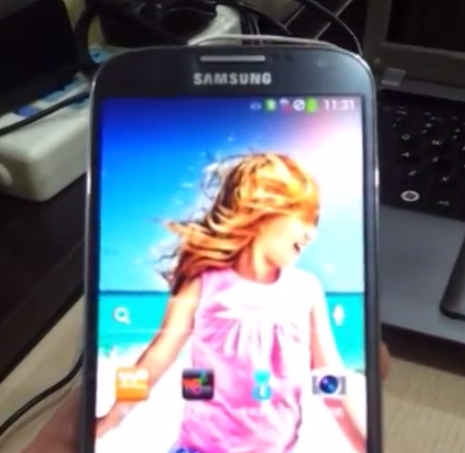 The Galaxy S IV should be unveiled in roughly 2.5 days, and, as we expected, the leaks just keep on coming. Of course, the problem with Samsung's flagship Galaxy device launches is it's pretty much impossible to figure out whether what we're seeing is the real design or not due to multiple prototypes and a veil of secrecy that I daresay tops even Apple's. Today, we have a video of the very same alleged Chinese dual-SIM variant of the SGS IV GT-i9502 that we saw yesterday when it posed for a surprisingly high-quality photoshoot (I guess the blurrycam was broken).